When You Need Live Music in Ottawa, You Need Sax Appeal! As the most extraordinary ensemble in the region, Sax Appeal is transforming the musical landscape in Canada with their distinctive sound, look and feel ! Check out this short documentary film exploring how Sax Appeal became a reality. As an active member of the Canadian Federation of Musicians, we also book any other kind of musical ensemble that you or your clients may need. But if you’re looking for something to really make your event remembered, we also offer all-saxophone duets and trios to make your special event saxy! Inquire about our special rates for charitable organizations and not-for-profit events. To make your event truly unforgettable, you need to have an ensemble that is as equally distinctive! Pour un événement qui a du style, donnez-lui une touche de Sax Appeal! Bring elegance, class and lasting memories to your event with Sax Appeal! As the most extraordinary ensemble in the region, Sax Appeal is transforming the musical landscape in Canada with their distinctive sound, look and feel. When you hire Sax Appeal, you can expect the highest level of musical talent, customer service and organizational skills. Whatever style and feel you wish to achieve for your event, we customize our services to match. 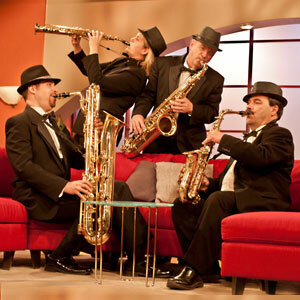 Have your guests talking about how much sophistication a unique all-saxophone ensemble brings to your function! We do everything possible to make sure that your guests are provided with the perfect musical ambiance. End your evening on a good note and get some Sax Appeal today! We will exceed your expectations from a musical perspective. All musicians in Sax Appeal are professionals and members of the American Federation of Musicians of the United States and Canada. Everything we play is pleasant to the ear and is sure to impress. Sax Appeal provides all of its own equipment for an acoustic performance. This includes music stands, lights, saxophone stands and charts. While amplification can be arranged depending on the location and needs of your event, we really do not have much ‘gear’. We will exceed your expectations from an organizational and logistical perspective. Our presentation is second to none! Depending on what kind of feel you wish to portray, Sax Appeal is comfortable playing in either tuxedos for formal events, or we would be pleased to tailor our outfits to adhere to any other dress code to suit your needs. For example – Having a backyard wedding anniversary party in the middle of the summer and wish us to wear shorts and a t-shirt ? No problem. It would be our pleasure. Versatility is one of the most important services we specialize in! We understand the need for flexibility and will always work with you to help make sure your event is a complete success. Whether you have been organizing your event for a few hours or a few hundred hours, sometimes even the most organized plans need to be tweaked at the last minute. Should any of your circumstances ever change either before or during your special event, we will adapt and work together to provide seamless services so that your needs are not only fulfilled, but surpassed. Depending on your needs, Sax Appeal can either stand or sit while performing, or even physically move in the middle of a set from one room to another (or even outside) to better accommodate your event. 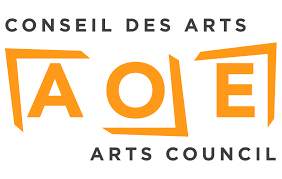 As an active member of the Canadian Federation of Musicians (Musicians’ Association of Ottawa-Gatineau Local 180), we can help find any other kind of musical talent that you or your clients may need. Perhaps your event calls for a more traditional jazz combo, a singer, rock band, big band or anything in-between, it would be our pleasure to assist. As music is our business, we only work with professionals whose job it is to make your event a complete success. The founder and leader of Sax Appeal (Jarrod Goldsmith) has many years of unparalleled customer service experience who constantly delivers on his word and provides both prompt and courteous service. Always. Even if this is the first time you are organizing an event or are a seasoned pro, Jarrod will take as much time as necessary to make you feel at ease and confident. As a community and entrepreneur business leader himself, Jarrod Goldsmith understands that it’s one thing to provide professional music services, but another to build credibility, trust and reliability. When you work with Sax Appeal, you’ll get the best of both worlds! Besides being an accomplished musician, Jarrod Goldsmith is also an avid entrepreneur and created eSAX (The Entrepreneur Social Advantage Experience); an entrepreneur networking community and tradeshow for small business to create connections, gain knowledge from featured speakers and promote regional economic collaboration among Chambers of Commerce and community/business leaders. 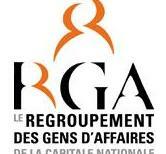 Events are held every three months (January, April, July and October). Whether you’re a new business owner, aspiring, or seasoned entrepreneur, you must realize the value that networking events have to offer. 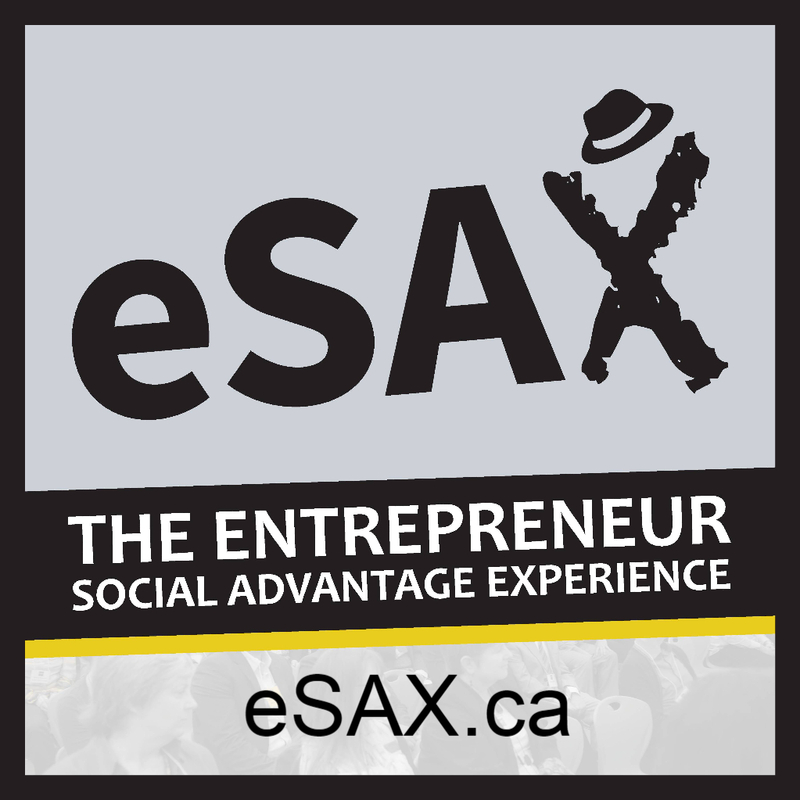 Here is an overview to give you an idea on what to expect from attending an eSAX entrepreneur networking event! Plus, here’s the epic #MannequinChallenge video that will also show you the overall lay-out of eSAX. In addition, building on his networking experience (and leveraging the ‘Fedora’ branding that Jarrod is known for), he’s also started a YouTube video series discussing a wide-range of business tips that people may find useful to help make their networking endeavors not only less stressful, but successful! New videos are posted regularly so subscribe to the eSAX YouTube account! Feel free to connect with Jarrod on LinkedIn!